Steepshot releases new feature allowing creators to post short videos. Today we are happy to announce that Steepshot releases videos. As far as we know a lot of users wait for this feature to be added. We hope that this new function will encourage users to become more creative and express their lifestyle in a more effective way. To upload a video from your phone's library, first tap Video tab then choose Library (iPhone) or Gallery (Android) on the left side of the screen and select the video you'd like to share. Keep in mind that the maximum video length is 20 seconds. But there is a chance that it will become longer. Now we just test this feature. Also you can't take or upload videos from a desktop computer. Of course, we know that there are some bugs, but we hurried a lot to make it possible for you to upload videos on Steepshot. In the nearest future after this test start, we will prepare a set of bug fixes, be patient and stay tuned! Unfortunately not always the App Store approves our updates on time, and this day is not an exception. It means that now iOS Steepshot app with the latest features is still under review. If you have any ideas, questions or suggestions, please, find us on social media. Choose your favorite way to connect and tune in to Steepshot life. woohoo! this is soooo coool! gonna make a video neow! @steepshot app is not available on play store... Tried a bunch of times. Is this a known issue as of the moment? you can download it directly to your phone from https://alpha.steepshot.io/browse . In the very bottom bar of the page, there is a playstore icon. Click on it an it will download the com.droid.steepshot.apk file. Once downloaded on your phone, click on it to install. I am not sure why its not on the play store now, it has been like that for a few days. I have been waiting for this for ages, in fact just asked about it in last post reply, this is great news, you guys rock. now we can show off some other creative works. Glad you guys will also increase the time, I think 30 seconds is ample for any short video. Yip, all true, just having some issues though, so not working properly as yet. Apparently they are working on fixing issues. Been waiting for this mann!! That's awesome. This looks like instagram. This is a great update! I'm not currently using Steepshot to post photos or videos myself, but I hope to see some cool videos in my feed from now on out :) Keep up the great work! This is goodnews. I saw someone earlier today uploaded a video on steepshot and I was like, Is this for real? Steepshot! Though I tried opening it and it didn't work. But I'm sure this is a certainly going to be fun, can't wait to test this. Seems to be a step in the right direction. 20 Seconds are 10 less than what whatsapp offers in example. I am adamant that you will be able to make the needed devs. to improve the feature. I will test it the next days. I uploaded my 1st steepshot video via Samsung and works well on mobile. I noticed the video will not play on desktop though. Glad you added video capability ! Keep up the great work. Absolutely fantastic, I can't wait! Hello. Read this post on how to request the app through Test Flight. HELLLOOOOOOOO!!!!!! ANYBODY OUT THERE!!!!!! YOUR APP IS MISSING FROM PLAY STORE!!!! Sad indeed, I have given up. I unfortunately uninstalled the app at the wrong time, I have since moved on to @partiko - only wish they could add more tag option. I think that was the good thing about steepshot you able to add up to 20 tags. @steepshot Oops! Any Update on progress? Still have black screen on videos and now I can't upload any post including normal photos. How is the update going, I tried uninstalling and re-installing still cant post anything. Hello. We are already finishing the update with the main fixes. It will soon be available for download, we will notify. Thank you, you guys doing a great job, all excited for the fixed up version. have a great sunday. @steepshot HELLOOOOOOOO!!!! ANYBODY OUT THERE???? Wow, exciting! I have been pondering in my mind when will @steepshot allow user to post video. And this is an excellent start. Congrats! Is there any update yet? When will it be fixed? I'm still not able to choose pictures from my phone and upload them :( I already cleared all the app data and the cache but it didn't help. I'm afraid this "project" is dead. The app was pulled from the app store and I'm having the same bug @marcelgoo is reporting. Can't post anything from my phone. 2 month is a lot of time. I gathered as much, so I have since given up on @steepshot - I am now using @partiko so far so good, seems it is he best option for posting from mobile device. Just wish they would increase the number of tags one can use, which was a great feature on steepshot that seemed to give more traction to posts. Looking forward to testing it! Hey, what's going on? Did @steepshot die? Anybody there? Hi guys have been asking forever what is happening with the app that is not on Google play store? I had huge issues with the app when you guys did the video test. So I had to uninstall. But now the app is missing and o cant download to reinstall. This is amazing. You're still my favorite Steem app! uhhh ohhhh okay that sounds interesting! Yeah I would love to usecthis video feature except not uploading at all. I'm sure things will get fixed. Bad thing is I can't upload photos either! The app forcecloses. This i s awesome. I want to be able to heaps more video stuff on Steemit. One suggestion would be to allow importing to DTube. That's for the future, but I think it's a good idea. @steepshot do we need to re-install the app? Our updates install on top of the current version (reistalled automatically), you don't need to worry. Just press to update. After the update, during the file download phase, the application closes. I wanted to reinstall it, but it is not in Google Play. On android steepshot will no longer ????? Al the best for the fixes. @steepshot do you guys reward your users with an upvote? Do you guys ever User test your application before deploy on mobile devices? Lots of rage quit issues with your iOS version. I've received several upvotes from the Steepshot account over the past couple months. Do you use the #steeply tag at all? the Steepshot staff watch that tag for weekly curation. As for the testing, I couldn't tell you. Not on that dev team. aha! new info! thanks for sharing! We are glad if you will take part in the testing and picking up the bugs. And in the future we can add you to the closed group for testers. A great turn of events. I am all for it! I can't wait till you all implement quick video uploads also from the browser and pc. I can see this become the next #vine with the right cards. I have the same problem, steepshit can not be found on the play store. I'm based in France, I had the app but it was bugging so I decided to remove it and install it to see if this would fix my problems. Unfortunately I could not find steepshot on the play store anymore! You guys need a nice delegation. This is a great addition to your app. I'm just wishing we can have folders for every content we upload on steepshot. Just like instagram highlights but I want it way better. Yeah, that's cool idea, like photo albums. I'm wondering the same thing. We need to get a group together and at least get them to address the issue. I've emailed them to ask [email protected] They need to at least tell us if they are going to release one or not. They haven't even tweeted this year yet. This will encourage a lot new content creators to participate in this platform. All social media platforms are adding video features now. Great work done. ALRIGHT!! NOW I CAN POST MY SHORT VIDEOS ON STEEPSHOT. Did you download the latest version of the app? build 70 ios and 95 android. You can see the version number by pressing the settings button on your profile. No.. I deleted the app and installed again but still on version 63. Is there an update in the App Store? I can’t find it? Woah, that's a surprise! Awesome to hear, looking forward to seeing how users get creative with this! Great work everyone! Hey Sir, i have just started on steemit and working my way through your videos! How many hashtags can you add on steepshot? That good, a great initiative... Always growing. It's great news for all community! Now to be full time online with steepshot became more easy! Thank for this great update! Since this update I can't post anything. The app is crashing when I select an image and click publish. I tried to reinstall the app several times on Android. You got a 52.77% upvote from @upmewhale courtesy of @steepshot.pay! Wow is amazing! Cant wait to try! @steepshot,I just installed this on my Android phone, because I really like the idea. My only problem is that every time I try to take, or upload a pic the App stops working. Few days ago I upgraded my last version Steepshot application for smartphons.After this it was not possible to load photo! So I reinstaled about 3,4 times.... Now steepshot application disapeared from play store!!!!! Can you help me! Probably it's Google case! I reinstaled another application and now it's same problem I can't find it anywhere. We ll see. Cyber war? 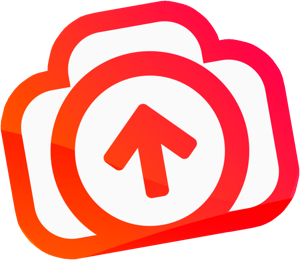 This post has received a 25.00% upvote from @daeshawn! Soooooooooooo.... Are yoi planning on fixing your app since it is not working for a lot of people since last update? It's not that we lose money.. Ok it is..
Wow, I cannot wait to try this out on iOS. Imo, the biggest thing holding Steemit back, is the lack of ability to share video, or go live on mobile. Once the mobile apps have this, watch out... Steemit will fly! @steepshot, since the update this morning I cannot seem to upload photos from my photo album on Android. Is this a known issue, or should I try to figure out what's going on locally? I really wanna use your app and this new feature. But your app keeps crashing on me when ever I try and add a photo or video. My phone is a OnePlus 6. Is this a thing anymore or have you given up on the project? 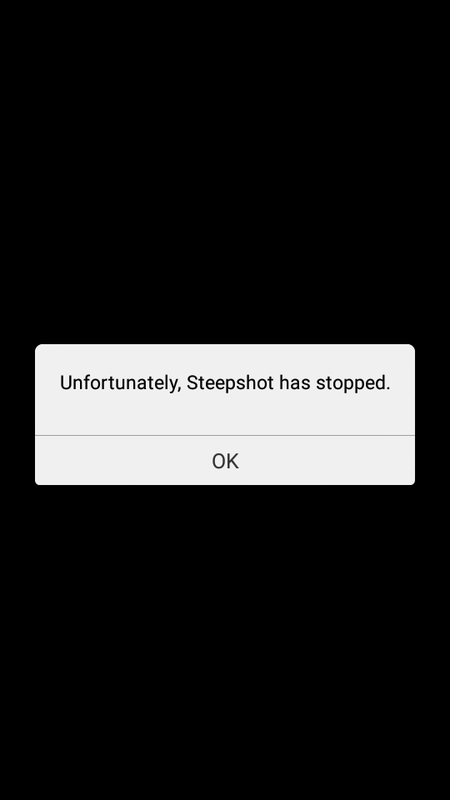 Steepshot stopped working what are the causes of permanent failures, no one says. Congratulations @steepshot! You received a personal award! What has happened with you all? The service has declined over the past few months. Feed is not updating, profiles not updating. Uploaded content pushes to the blockchain but not to Steepshot. App is no-longer available on Google playstore, the Discord is quiet with no responses, and..... there hasn't been an update in months. What happened? Was this project disbanded? Did the drop in Steem value sink this ship? This was my favorite app and implementation of Steem, I'm sad to see it ... fade into nothingness.. please come back! I just get errors every time i try to post on the steepshot iOS app. I think the project has been abandoned. WOW its too good and most useful for people that want to create their videos.